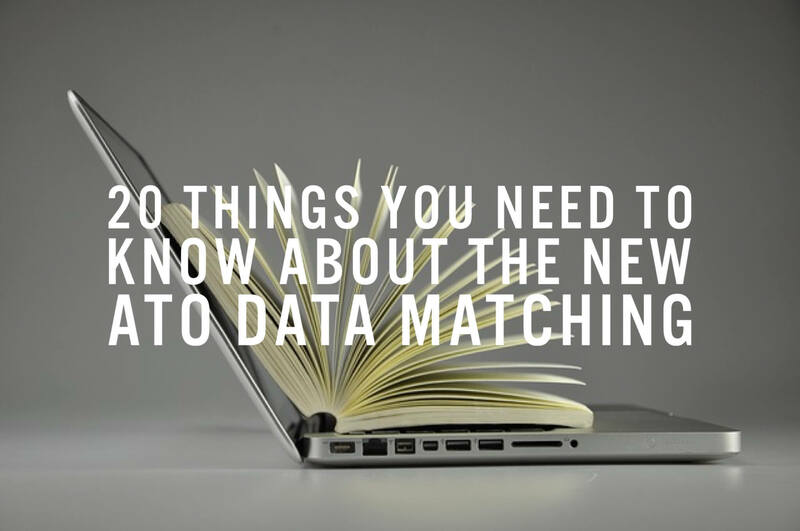 You may or may not have heard the ATO(Australian Tax Office) has announced a new data matching program that will affect visa holders, sponsors and migration agents! This information is brought to you by Australia Here We Come and essentially it is broken down into things you need to know as well as how it affects you! Education provider details of migration agents who assisted with visa preparations. That is a lot of data! Now let’s get into how this is going to affect you. Approximately 1,000,000 individuals will have their data matched with the data the ATO has on record. Data matching will reveal non-compliance with tax rules/payment obligations, reporting and illegal earnings. Data matching will lead to ABN cancellations where business owners have demonstrated noncompliance with the tax rules, whether business or employee related. The ATO will also be able to detect multiple tax fraud practices. Data matching will also expose superannuation non-payment and compliance by employers. Data matching will also reveal unlawful employment of visa holders with no work rights, or limited work rights (such as student visa holders) where employers claim tax benefits associated with paying remuneration or where visa holders pay or claim tax. Employers who fail to pay their 457 workers their prescribed wages will also be caught by the ATO data matching. Similarly, 457 employees who do not declare their wages to the ATO will be caught in breach of their visa conditions which may result in visa cancellation. Migration agents will be investigated for among other things, the correlation between visas lodged and income declared. 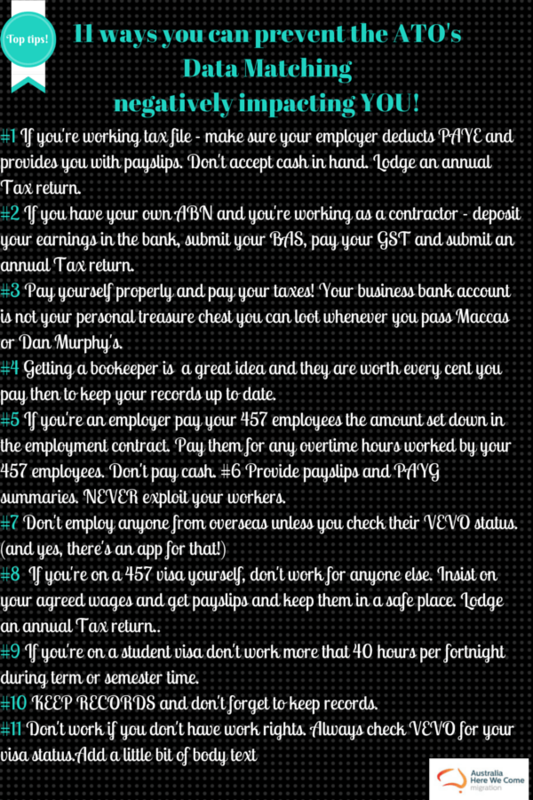 We did say 20 things you need to know so here is 11 more tips from Australia Here We Come on how to protect yourself against the new ATO’s data matching. This very useful information you can share the image directly on Facebook or Pinterest just by clicking on the image.